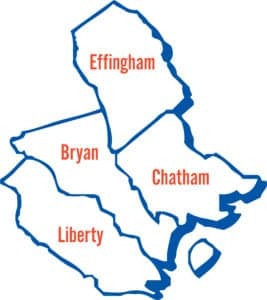 United Way of the Coastal Empire serves Bryan, Chatham, Effingham, and Liberty counties. Each county has unique partners, volunteers, opportunities, and community needs. Click on your county below to learn more!